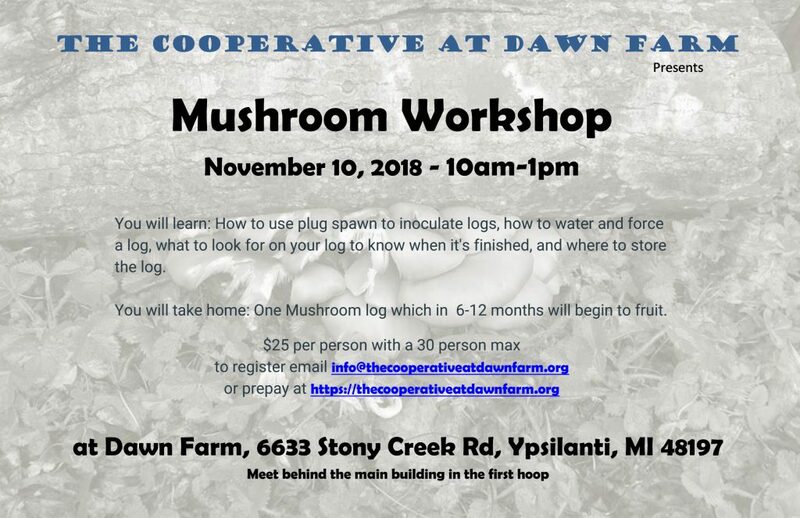 Join us for the Cooperative’s annual Mushroom Workshop! You can pre-pay on the website or RSVP by emailing info@thecooperativeatdawnfarm.org. This spring has been a whirlwind, in the best possible way. Everything is waking up on the farm. A view of “The Learning Hoop”- our 30×48 hoop house dedicated to educational/experimental projects! One of the first and most adorable signs of spring was the second lambing season for Project Mow. Babies! 14 of them. They are a complete delight to all who encounter them. It again provided an opportunity for some of our membership to engage with and learn from that process- at one point I took a small lamb home to nurse back to health since our shepherd, Yuko, was out of town on work. 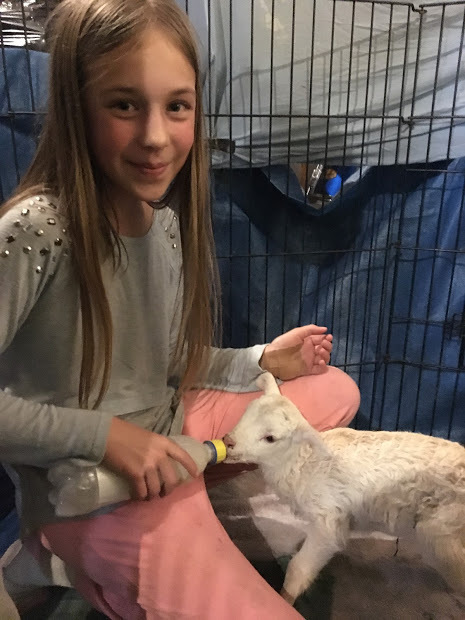 My daughter bottle feeding the little lamb who needed some help. The kids now insist on regular visitation! 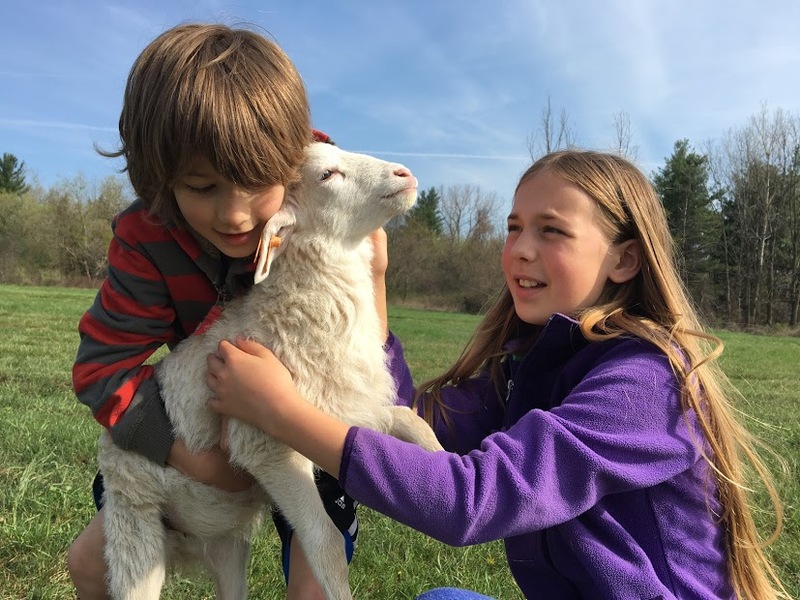 It was a wonderful experience for me and my kids, but it also provided Yuko the ability to leave the flock and rest easy knowing her farm community had her back. It was very gratifying on all sides. The little lamb was named “Sunny Alex” by my kids, and he is the sweetest and most sociable lamb out at the farm. He’s chunky and happy and we even know him by his distinct voice. The only slightly inconvenient side effect of this community lambing fiasco is that it gave me a distinct baby farm animal itch… trouble! Gardens are going in fast and the landscape of our project is continuing to mature. One very exciting thing is that our membership has nearly doubled this year- from 9 members to 16. This tells us that the need for this organization exists and that our mission resonates! Our work will only improve with more engaged membership, and we are already seeing things come to life this year in a way we had only imagined before. Jesse from Garden Party put his first crops in the hoops! We are brainstorming ways to connect to the wider community- to invite everyone to really see what it is we are doing and why it matters. One way we hope to do that is by introducing our members here on the blog. Every member of the Cooperative has a story, and they all fill such a distinct niche here at the Farm. We will also be increasing our signage around the property, the hope being that people could take themselves for a walking unguided tour around the farm. We always want to encourage folks to ask questions, come for a tour, and give us feedback about how we can do even better work. However, up until this year, we’ve been largely preoccupied with the foundational work, which hasn’t left much time or mental bandwidth for the outreach we wanted to do. The hope is that many hands make light work, and we will find ourselves with more and more practical support, which will yield each member more and more freedom to fill those diverse roles (like sharing here!). Look for more posts from us here soon! Happy New Year, from all of us at the Cooperative! We haven’t updated much here over the past two years, but this project has been going forward in substantial ways. Arguably, we’ve all had too much dirt on our hands to be writing much in the way of blog posts. Now, at the start of the new year, with the farmland all snowy and dormant, we are enjoying a similar sense of dormancy (and cleaner hands with which to type…). It allows us to think about the whirlwind of the seasons and how quickly things have changed- not just in terms of the physical landscape out at the Farm, but also how this new project is taking shape. 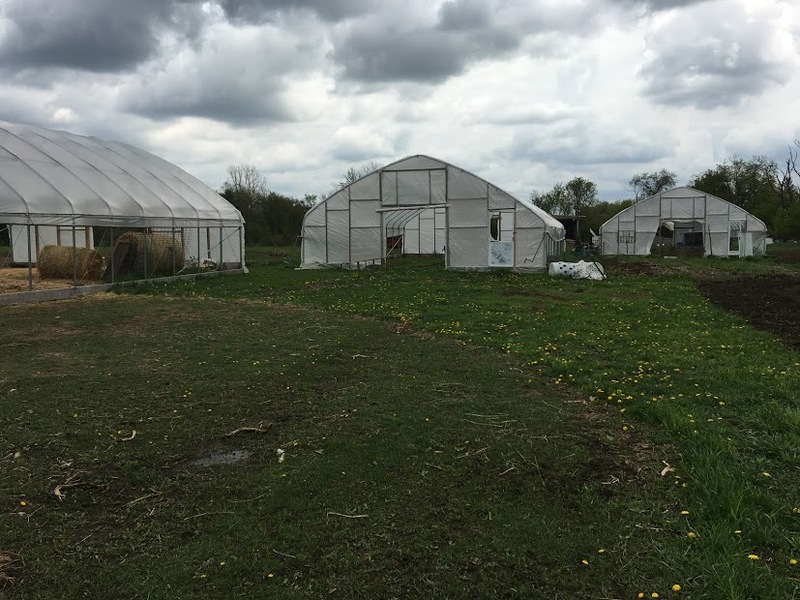 The last big thing we reported on was the building of those hoop houses in early 2016. That really marked the launch of the project, making space for new projects and membership that wasn’t really there before. Things immediately began to fill in. The Cooperative members came together with Dawn Farm and envisioned one of the hoop houses dedicated to education. We named it “The Learning Hoop” and it has been the site of numerous interesting projects, including a Huglekultur bed, keyhole garden beds, in-ground vermiculture systems (aka our “worm poop farm”), a still-in-progress rocket stove installation, vertical potato gardening, and testing some perennials for warmer zones than ours (more season extension) to see how they’ll overwinter with the protection of the hoop house. Our 8 acre “food forest” went in back in 2013, and the Cooperative began to steward that project in 2016 by collectively tending to those young trees and by interplanting those rows with hay seed. 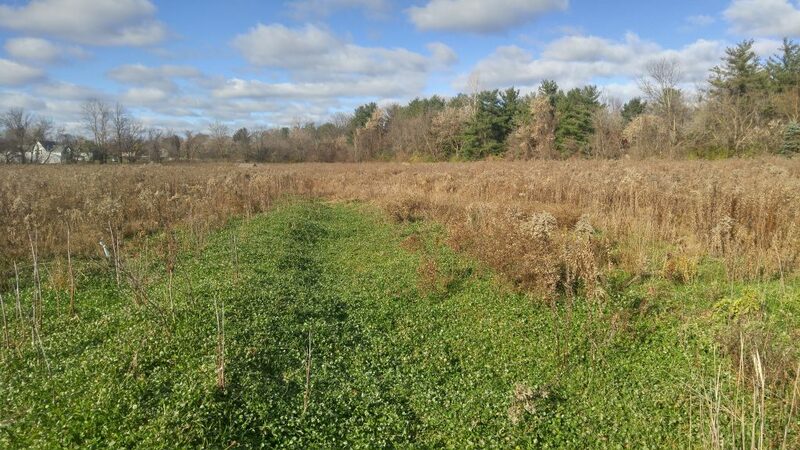 Between the food forest and 2 additional fields we seeded approximately 20 acres of the property in hay, which was a significant change- they had been monocropped in soy and corn by a local farmer for over 3 decades. This shift in management felt much more in line with the goals of our group: to steward the land and increase its health. The old model of tillage and chemical inputs just didn’t fit anymore. In 2016 we started to gain some new members. A woman from Ypsilanti had always dreamed of keeping a flock of sheep, but hadn’t been able to because she lives in the city. 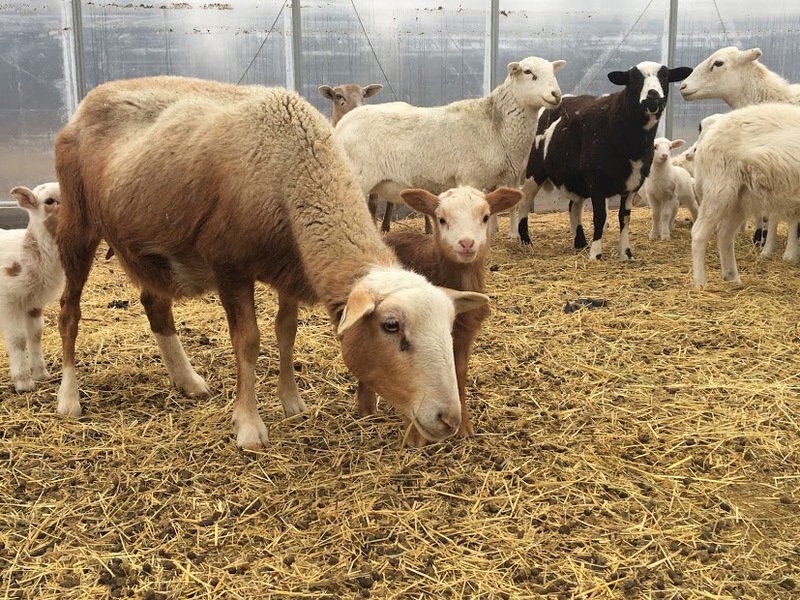 She got her first flock of sheep and founded Project Mow, where the flock moves off site to mow private residences and even for the city of Ypsilanti. Last spring was her very first experience of lambing- the flock was housed in one of our hoop houses and many ewes gave birth there! It was an amazing learning experience for all of us. In 2017, one of our existing members (Jesse- designer of our beloved food forest!) brought his project Garden Party to the coop. He has established several new garden beds and used two of the hoops for season extension. He’s been working to make part of his living from the sale of his vegetables, and we are so excited for him! We brought our membership up to 10, and the projects included personal gardens, beekeeping, education and workshops (including our 3rd annual Future of Food event that took place in early November), foraging, management of the food forest, propagation of perennial trees and shrubs, and continued building of relationships with the outside community- including the hosting of a group called Evergreen Experience, which launched their first year at Dawn Farm. We are so looking forward to the coming year! We anticipate that 2018 will continue to show us what wants to grow in this space- both in terms of the physical landscape but also within these emerging systems and relationships. Some additional projects on the horizon include: layering another vegetable farmer into the front growing space surrounding the hoop houses, gardening courses, building the rocket stove, another mushroom workshop and Future of Food event, a composting toilet, continuing the relationship with Evergreen Experience, as well as increasing our contact with the community through education and outreach. We’ve started a Patreon page! Running a nonprofit with nearly zero budget is a tough thing, so we’re asking for your support. Why should you support this project? We believe that our current food system and relationship to the land is in real danger. There is a lot of regenerative work to do, and a lot of barriers to those who desire to do that work. This project combines the generosity of a non-profit organization* with the creativity and energy of the local community to build the systems that will help us to heal that fractured relationship with our food systems and land. Some of our members are working to make a living growing and selling food, some are focused on education and community building, some are working towards conservation and utilization of the wild areas, others are working at animal husbandry, keeping bees, as well as tending to an 8-acre food forest**… and all of us are interested in supporting the mission of Dawn Farm in helping addicts and alcoholics find recovery. Most of us have second (and third!) jobs to help us subsidize this mission-based work. We are all drawn to this out of a passion for learning and interacting with the land and each other, as well as a desire to help create and share a better more resilient model for this work. We have already brainstormed ways to reduce the barriers to success in our design- shared free land, shared farm tools and resources, access to community and each other, etc. 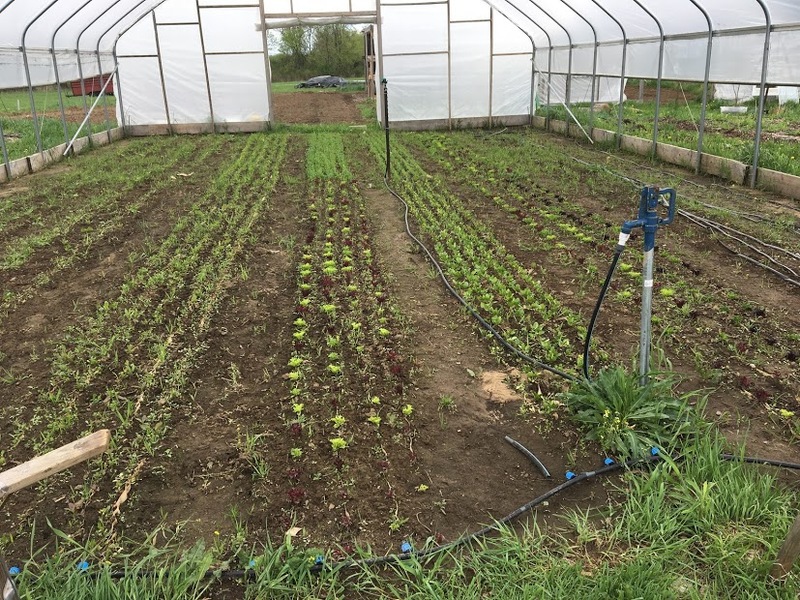 The addition of your patronage will help us to buy things like liability insurance, help us repair our hoop houses, and add to our infrastructure (we have plans to build a communal space for gathering, processing our harvests, a composting toilet, etc. ), build a farm stand, among other creative ideas. Your support means so much! We are also committed to sharing what we learn through regular blogging and social media posts. We want this information to be available for all who could use it. Tutorials, philosophical musings, practical tips and learned strategies… we want it all out there to be of service. Supporting this project financially will help us to generate more and more of this content! 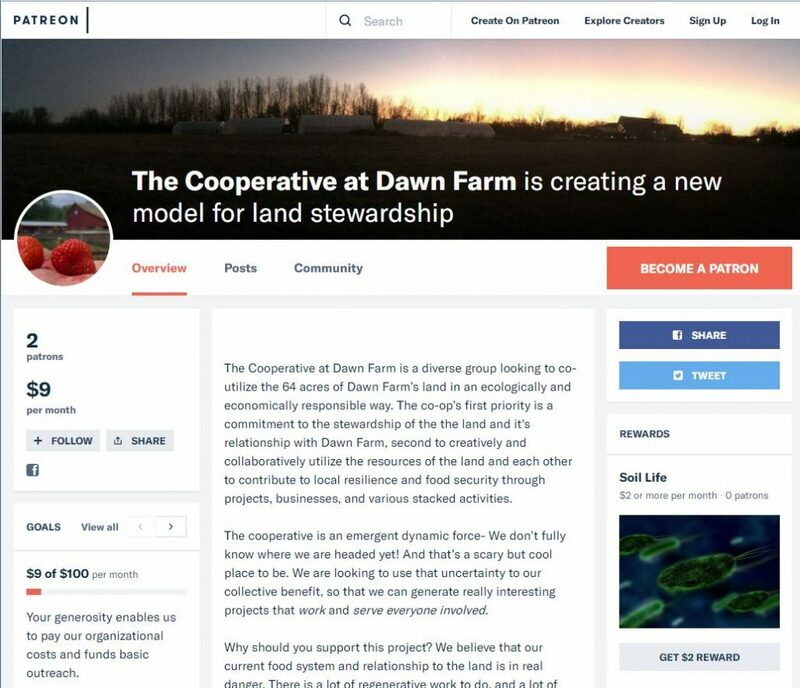 *Did you know Dawn Farm charges us nothing to share this acreage with us? Land is free for all Cooperative members. Building this project through an ethic of generosity is integral to our mission. 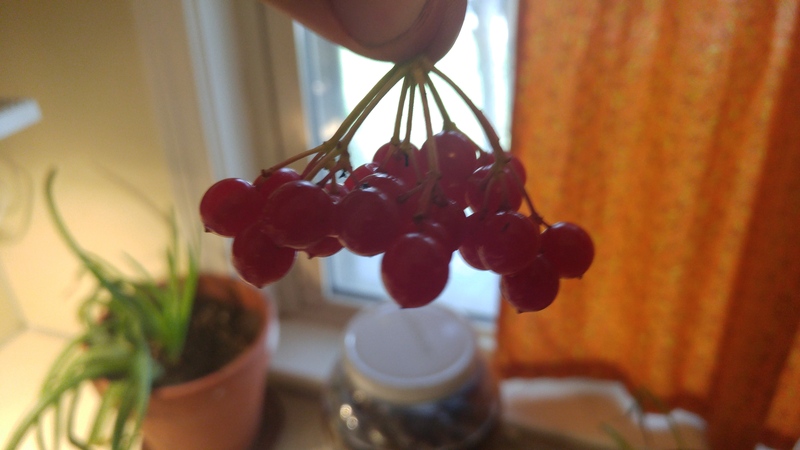 **Food Forest! This is space planted with 1500 useful trees and shrubs. This design enjoys the ecological resiliency of a forest with the added benefit of human purpose and utility. A swale in the food forest. A swale is a water harvesting ditch on contour. The swales in this field passively collect rain water and keep it in the field, slowly moving it through the soil, instead of letting it run off into the neighbors field. This field is planted with nearly 2000 useful plants and shrubs using a technique called STUN – strategic total & utter neglect. Those that survive will be maintenance and worry free members of this thriving ecosystem. Combine rice, milk and cornstarch and mix in a saucepan. 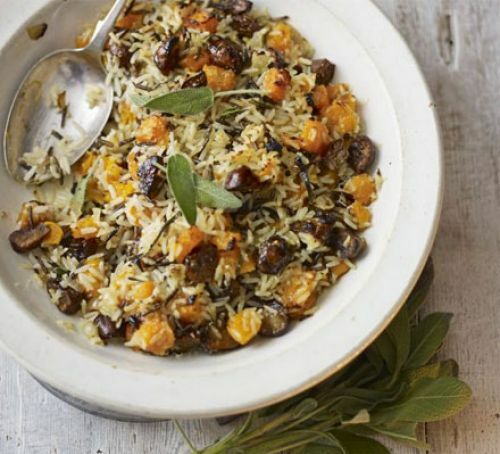 Heat rice mixture over medium heat and keep it at a simmer for 3 minutes, or to desired thickness. Remove from heat and stir in fruit and spice mix. You can eat it warm or cold. 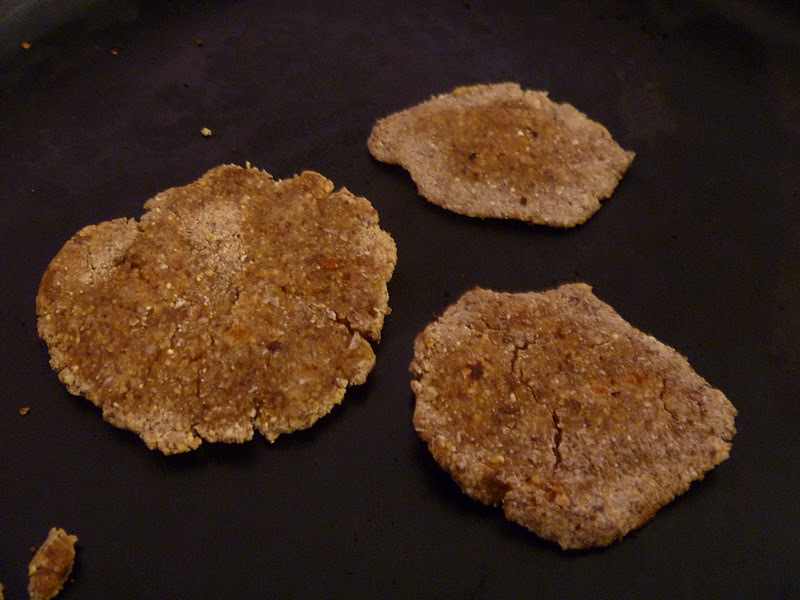 It will thicken more when cooled. Could use white rice and I imagine it would be about the same. Could probably use other plant milk or cow’s milk. 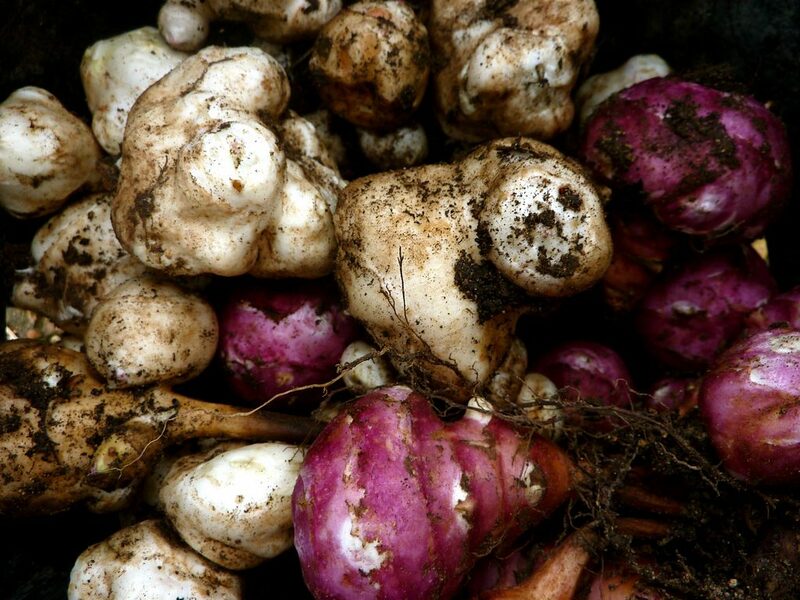 Jerusalem artichokes are rich in inulin, a sugar that is not digestible by your body. However, it is very digestible by the bacteria in your gut and gas that they produce can be painful. This makes preparing them in the right way important. They can be pickled essentially pre digesting them. Alternatively they can be slow cooked, the roots will darken and soften as the sugars caramelize. Cook in crock pot on low when you can watch it warm when you’re sleeping. Keep enough water in the bottom to keep moist.